with a mix, but delicious all the same). ** This recipe was adapted from “A Spicy Perspective” , I changed a few things and didn’t make the coconut rice, but it does look good. 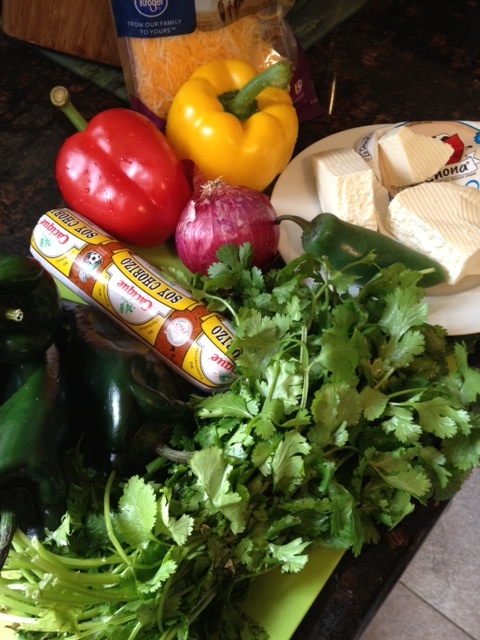 You can roast your poblanos and bell peppers on your grill or in the oven (which I had to do because it was raining). After the skin is blistered and blackened, place them in a paper bag or ziploc bag to cool. When they are cool enough to handle, remove the stem, seeds and skin carefully from the poblanos (you will nee them intact to stuff), you don’t have to be as gentle with the bell peppers. Dice the jalapeno and onion and saute with a little oil, add the mashed garlic,salt and pepper and cumin to taste. Remove 1/2 of the mixture and set aside. Add the soyrizo to the pan with garlic and onion and heat through. 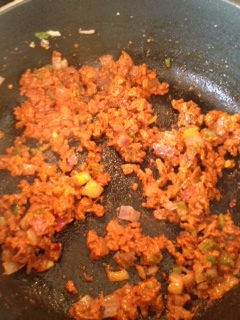 Add diced Mexican cheese and remove from heat. Fill the seeded, skinned poblanos with the soyrizo cheese mixture and place in a lightly oil baking dish, cover each with Mexican blend cheese and bake uncovered at 350 for approximately 15 minutes. 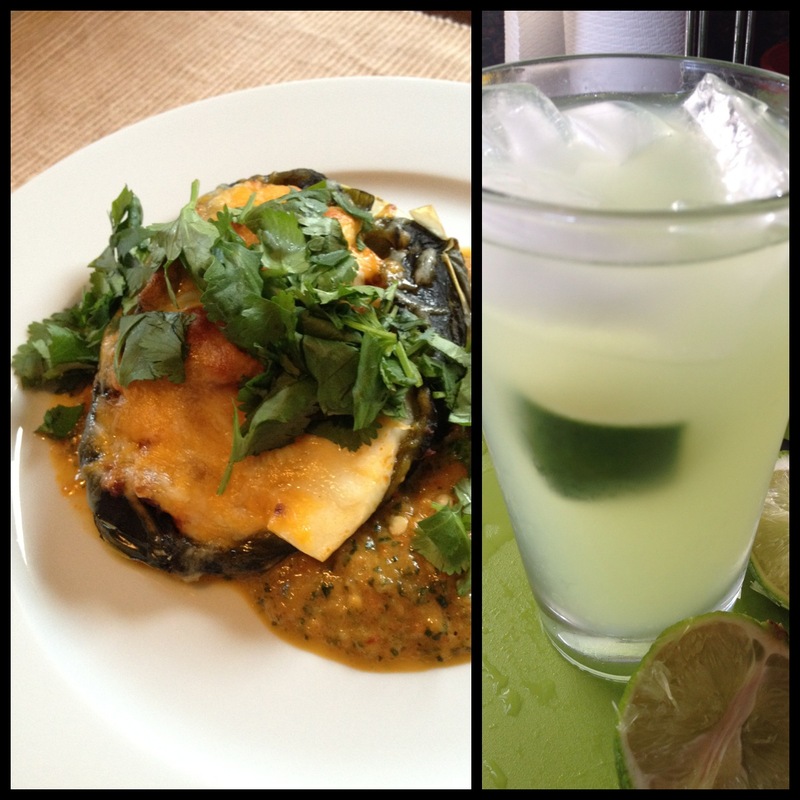 Serve a stuffed poblano (Chile Rellenos) with the roasted bell pepper sauce, garnished with fresh cilantro and a wedge of lime… and a margarita!